"I will be your advocate for more research" Massachusetts senator Ed Markey promised an ME patient at a Town Hall meeting on Feb. 23rd. Read the story, view the video clip, and then call Senator Markey's office (202-224-2742) to thank him for promising in Northampton to advocate for M.E. on Capitol Hill. If you are an ME patient let them know. If you are a Massachusetts resident be sure to say that. 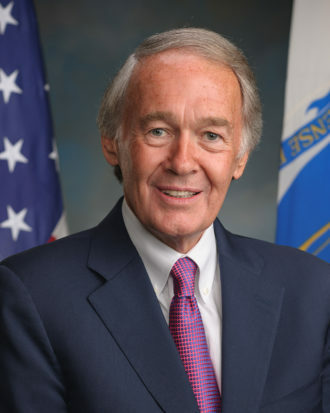 Our Association will be following up with Senator Markey to let him know how he can help! Watch Jen Brea's TED talk! "What happens when you have a disease doctors can't diagnose," film-maker and ME/CFS advocate Jen Brea's TED talk, was filmed in June 2016 and has recently been made available for viewing (subtitles in 10 languages!). This is 17 minutes of gripping power. Watch it now! To CDC: Remove GET and CBT from website!